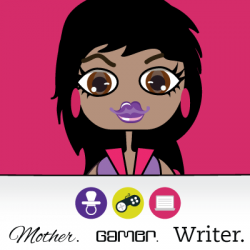 Originally Reviewed At: Mother/Gamer/WriterRating: 5 out of 5 Controllers, Crown Rating/Epic ReadReview Source: Audiobook PurchaseReviewer: MeLo and behold, I have a new love and her name is Lauren Oliver. I adore books that step outside of the norm and create something so unique, so intriguing you can’t help but fall in love with their mysterious nature. Delirium is a captivating tale of a young girls struggle to find herself in a society hell-bent on making everyone the same. Oliver presents an interesting take on what I believe most people take for granted, love. In the novel, we follow Lena as she prepares to be cured from the evil affliction that killed her mother. She is actually excited to be free of the disease and ready to move on with her life, a job, a family, stability. Something she’s craved since her mother’s death left an undesirable stigma on the family. That is until she meets Alex, a boy who challenges her way of thinking. It is in those simple stolen moments with Alex, Lena begins to understand herself, the struggles her mother faced, and why love is dangerous. Because it makes you feel, think, act irrational, uninhibited, unafraid and with the whole of your being. Love is everything, and once discovered, it can never be forgotten or undone. 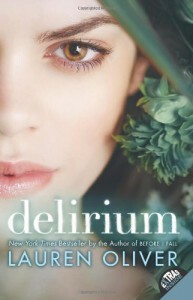 I truly enjoyed Delirium with my entire soul. Yes, you heard right. This book will clutch onto your heart and stain your entire being. It’s magical, emotional, and delightful. Moreover, if you go the audiobook route as I did, you will be mesmerized by the amazing voice of the narrator who does a phenomenal job of capturing the urgency and pain in Delirium. If you missed this novel when it first came out, don’t fret, there is still time to catch up with the series before book three, Requiem is released in March of this year.